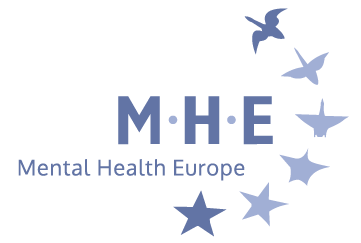 Mental Health Europe (MHE) is a European non-governmental network organisation committed to the promotion of positive mental health, the prevention of mental distress, the improvement of care, advocacy for social inclusion and the protection of the rights of (ex)users of mental health services, persons with psychosocial disabilities, their families and carers. MHE’s work is underlined and guided by the United Nations Convention on the Rights of Persons with Disabilities. MHE very much welcomes the call for submissions from the Committee on the Rights of Persons with Disabilities on the Draft General Comment No. 7 on articles 4 (3) and 33 (3), relating to consultation and involvement of persons with disabilities, including children with disabilities, in decision-making processes through their representative organisations. People with psychosocial disabilities are often discriminated against due to a lack of meaningful participation in decision-making processes that concern them, particularly when being deprived of, or restricted in, the exercise of their right to legal capacity. This results in violations of decision-making on a daily basis, as well as any decision-making processes regarding the development or implementation of policies or legislation, which might have an impact on their lives. The changes MHE suggests mainly regard the definitions as currently detailed in the draft General Comment. These are detailed below and follow the structure of the draft General Comment. Overall, we appreciate the Committee’s efforts to distinguish between organisations that are governed, led and directed by persons with disabilities and organisations for persons with disabilities, which are any organisation established to provide service to and for persons with disabilities, including organisations of family members of persons with disabilities. Organisations for persons with disabilities are neither comprised by a majority of persons with disabilities, nor controlled and directed by persons with disabilities. This distinction is particularly important for persons with psychosocial disabilities who are disproportionately affected by denial of legal capacity. As stated in paragraph 14 (d), persons with disabilities can be supported by (organisations of) parents and relatives but it is important to ensure that they are and remain in full control of decisions concerning issues relating to them and are heard independently. (i) MHE finds the sentence “the large majority of DPOs/OPDs are independent from non-governmental membership-based organisations” confusing. As stated in paragraph 16, DPOs/OPDs are part of civil society and are, by extension, civil society organisations, among which non-governmental organisations. According to our understanding, DPOs/OPDs are non-governmental organisations of a special kind. MHE suggests rephrasing this part saying that DPOs/OPDs are a specific category of non-governmental organisations. The distinction between umbrella organisations and cross-disability organisations does not seem to be reflective of many real-life situations. For example, if a national umbrella organisation consists of regional or local organisations representing different types of disabilities, is it then an umbrella organisation or a cross-disability organisation? The concept of umbrella organisations already covers those DPOs/OPDs that work on a cross-disability basis. The distinction seems unnecessary and confusing, so we would suggest removing the paragraph on (c) cross-disability organisations. Alternatively, we suggest referring to cross-disability organisations within the paragraph on umbrella organisations. In addition, stating that “there is usually only one or perhaps two umbrella DPOs/OPDs in a given State party”, implies that some umbrella organisations are more important than others. The same risk exists at the regional European level, where many umbrella organisations are active. Given the wide range and complexity of types of disabilities, having different umbrella organisations bringing their own expertise is necessary to have a proper representation of the different interests in European policy processes. As the European Union is a party to the CRPD, it is essential to avoid a situation where one or two umbrella organisations are considered more important, and thus are given greater consideration, than others. We suggest removing this sentence. The Committee defines organisations of self-advocates as organisations composed of and representing persons with intellectual disabilities, autistic persons or persons with psychosocial disabilities. First, the distinction between DPOs/OPDs and organisations of self-advocates seems to be done regardless of the differences between the categories listed here. Even if one person can have several types of disabilities, the general comment should not lead to more confusion by creating a separate category of these three distinct groups. According to our understanding, organisations of self-advocates are organisations of person with disabilities who advocate for their rights as well as the rights of other persons with disabilities. As such, we do not see how they are different than DPOs/OPDs. Indeed, all DPOs/OPDs are self-advocates, regardless of the type of disability. Therefore, all organisations controlled by autistic people, people with an intellectual disability or people with a psychosocial disability are DPOs/OPDs, already covered in Para 14 (a). In addition, persons with psychosocial disabilities rarely or never call themselves self-advocates on the organisational level. Second, organisations of self-advocates are considered a different category than DPOs/OPDs in view of the degree to which support is required. No distinction should be made based on the actual or perceived need for support. To be considered a DPO/OPD should be independent on the (level or kind of) support required and there should be no distinct definition to this regard. Overall, we recommend to delete this paragraph and make the DPO/OPD definition inclusive for organisations of persons with psychosocial disabilities, intellectual disabilities or autistic persons. Alternatively, we would ask to remove persons with psychosocial disabilities from this paragraph. MHE agrees that organisations of parents of children with disabilities are key to facilitating, promoting and securing the interests, autonomy and active participation of their children with disabilities and should be included in the consultation, decision-making and monitoring processes. However, as stated in article 12 of Convention on the Rights of the Child, it is equally important that children with disabilities who are capable of forming their own views have the right to be heard and express their views freely in all matters affecting them. While parents surely aim to represent the best interests of their children, the principle ‘nothing about us without us’ applies to children as well. Their views thus need to be given due weight in accordance with their age and maturity. 16. MHE would add that States Parties should ensure that civil society organisations meaningfully consult with DPOs/OPDs throughout their activities relating to persons with disabilities. In addition, for the monitoring of the convention, MHE suggests adding that a broad range of CSOs (or NGOs), including but not exclusively DPOs/OPDs are consulted to ensure a good balance and pursue social progress altogether. B. Scope of art. 4.3. 18. MHE welcomes the need for legal and regulatory frameworks and procedures, across all levels and branches of government, to ensure the close and active involvement of persons with disabilities in the “development and implementation of legislation and policies to implement the present Convention, and in other decision-making processes”. 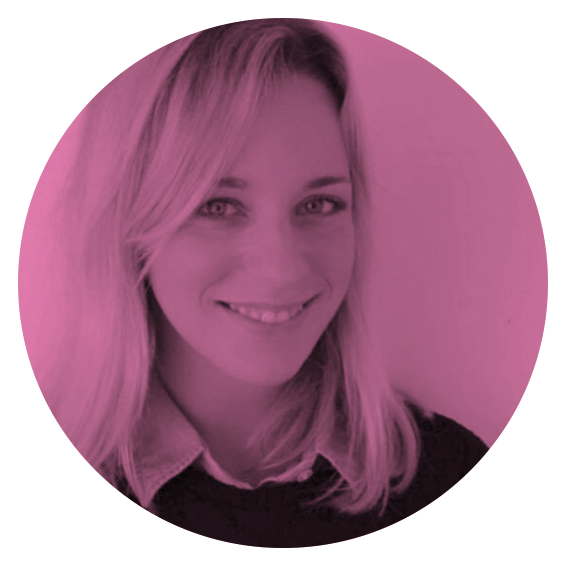 We suggest including the different levels where such frameworks need to be set in place, i.e. local, national, regional and international levels. As the European Union is a party to the CRPD, DPOs/OPDs should equally be consulted at each of the decision-making processes at the regional European level, and this should be stipulated in corresponding frameworks. 21. MHE suggests specifying that the consultation and involvement of persons with disabilities in all decision-making processes, “is a full-fledged strong obligation under international human rights law recognising every person’s legal capacity”. 75. (a) MHE suggests completing the sentence as follows: “Repeal all laws that prevent any person with disabilities, regardless of type of impairment, to be closely consulted with and actively involved, through their DPOs/OPDs, including laws that allow for restriction or deprivation of a person’s legal capacity as well as the right not to be confined, including through forced institutionalisation and isolation within the family, on the basis of any kind of disability”. (i) MHE suggests adding “Encourage and support the creation, capacity-building, funding and effective participation of DPOs/OPDs or groups of persons with disabilities, including parents and families of persons with disabilities in their supportive role, at the local, national, regional and international levels in the conception, design, reform and implementation of policies and programmes”.